Two local radio hosts are off the air after making comments about New Jersey's Attorney General. Now, backlash is erupting over the comments. The hosts of a popular New Jersey radio show have been kicked off the air for 10 days after repeatedly using a racial slur to describe the nation's first Sikh attorney general. Gurbir Grewal, who wears a traditional turban and full beard, said it was the latest insult in a long list of "small indignities and humiliations" he has suffered despite his successful career. The attorney general took to Twitter on Thursday morning to call for an end to "small-minded intolerance" after he was attacked by the hosts of the "Dennis & Judi" show. WKXW-FM hosts Dennis Malloy and Judi Franco uttered the slur on their Wednesday show while talking about Grewal's directive to prosecutors to temporarily suspend marijuana prosecutions statewide. Malloy said he couldn't remember Grewal's name, telling Franco: "I'm just going to say the guy with the turban." Malloy and Franco acknowledged their words might be offensive, but Malloy said "if that offends you, then don't wear the turban and maybe I'll remember your name." 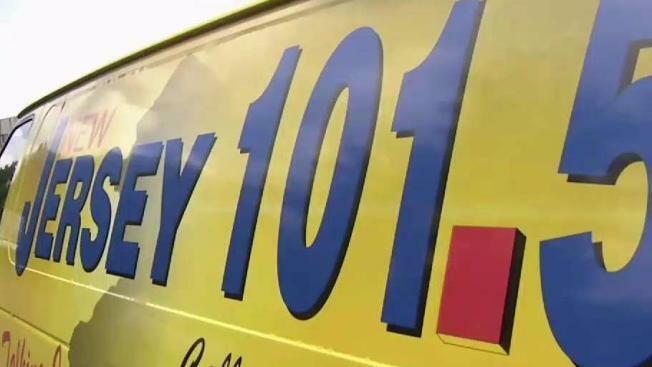 Officials at the station, New Jersey 101.5, suspended Malloy and Franco for 10 days. The Sikh American Legal Defense and Education Fund called the suspensions an "appreciated first step" but called for the station to apologize. Democratic Gov. Phil Murphy said hate speech "does not belong on our airwaves." Grewal himself addressed the duo's remarks on Twitter, noting he has three daughters "and yesterday, I told them to turn off the radio." In a follow-up tweet, he added: "It's time to end the small-minded intolerance." For Grewal, the son of Indian immigrants, Wednesday's slights stood out only because the audience for them was bigger. He said he's been called a "towel head" and a terrorist, and told to "go back home" — Grewal was born and raised in New Jersey — more times than he can count. He said he's felt eyes on him everywhere he goes. "Throughout my life and regardless of the positions I've held, I've faced these small indignities and humiliations," Grewal said. Grewal said he was invited to give a speech at a corporate office. His staff arrived ahead of him and had no problem gaining admittance. When Grewal showed up, a security guard told him he "wasn't on the list" and wouldn't let him through. The Sikh Coalition, a New York-based advocacy group, said the visible markers of the faith — unshorn hair and turbans — have long made Sikhs a target for bigotry and hate crimes. The group on Thursday called for religious and cultural sensitivity training for the radio station's staff. "These statements against the top law enforcement official in the state of New Jersey are particularly egregious coming from amplified voices of radio hosts, given the prominence of racism and xenophobia against Sikhs across the country," said Satjeet Kaur, the Sikh Coalition's executive director. Grewal served as a federal prosecutor in New York and New Jersey before Republican Gov. Chris Christie tapped him to lead the prosecutor's office in Bergen County, New Jersey's most populous. Christie's replacement, Democrat Phil Murphy, picked Grewal to be attorney general, saying he wanted a prosecutor who would stand up to President Donald Trump. Grewal appeared eager to move on from the radio hosts' remarks, tweeting later Thursday: "Ok, back to business." Through his office, he declined an interview request. The "Dennis & Judi" show has been a fixture on New Jersey radio for more than 20 years, and many of their loyal listeners called the station Thursday to protest the pair's removal. Fill-in host Steve Trevelise, a longtime friend of Malloy and Franco, said on the air that the situation was "fluid." "I can tell you they're not racist. They're just not," Trevelise said. "Not a racist bone in their body."